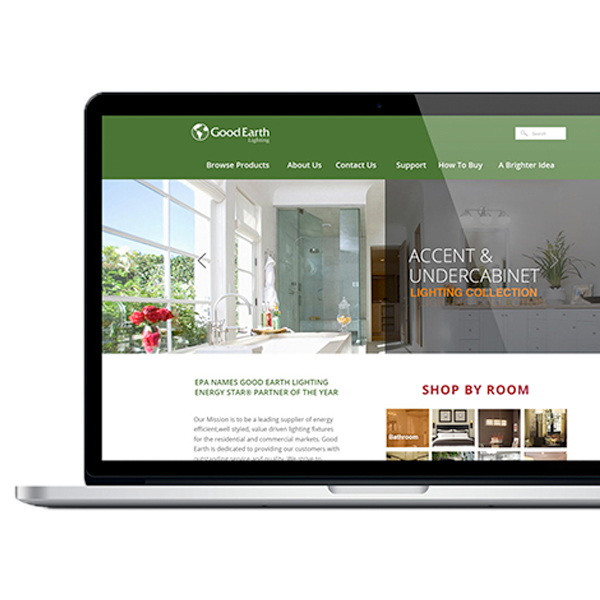 Leading source of quality energy efficient lighting and five time winner of the EPA Energy Star Lighting Partner of the Year Award, Good Earth Lighting identified ArtVersion as an ideal partner to engage in the overall redesign and optimization of their ecommerce platform. 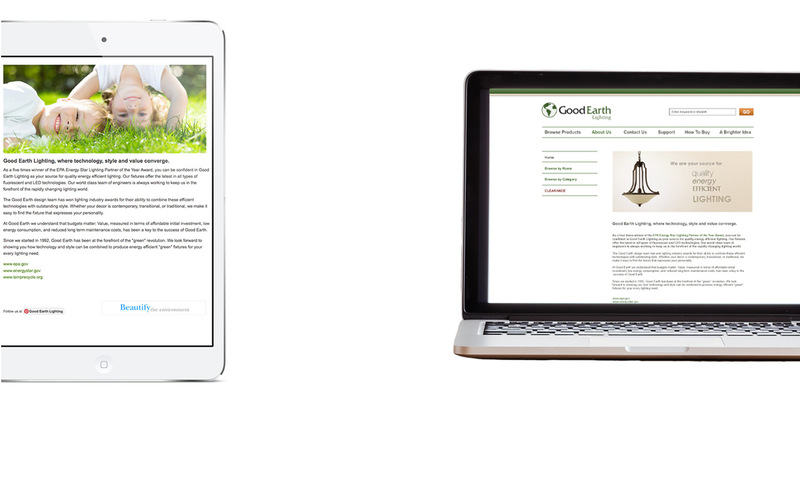 Offering a portfolio of lighting fixtures that offer the latest in all types of fluorescent and LED technologies, Good Earth Lighting is always working to be in the forefront of the rapidly changing lighting world. 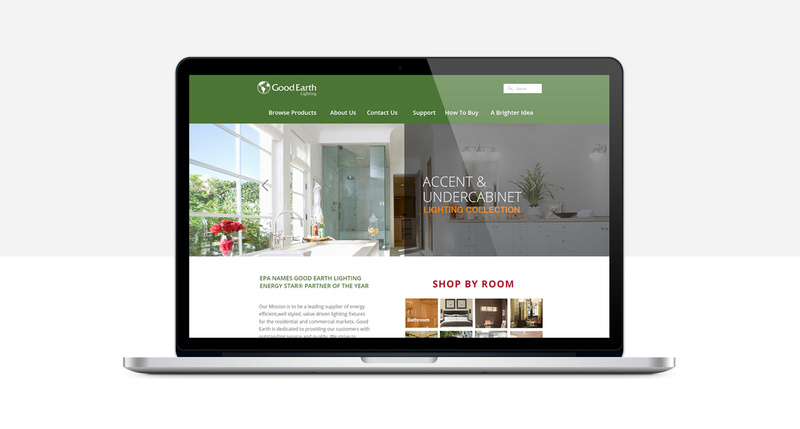 To remain in this innovative industry standing, it was critical for Good Earth to implement a digital strategy that would support their growing business, promote ecommerce, serve vendors and provide an ideal user experience across the board. 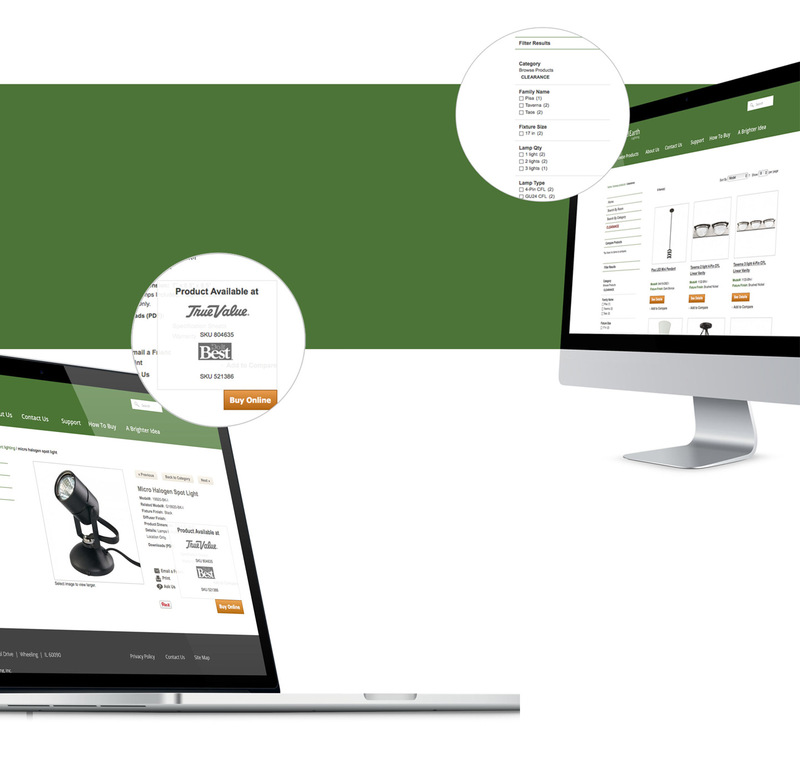 In addition to UI/UX design, the ecommerce approach needed to be highly customized to suit multiple vendor shoppability. With a wide range of products, advanced product filtering was implemented to allow ease of product findability. Detailed product descriptions featured custom photography and image as well as content curation. A mobile friendly interface was developed to ensure that users across device can access the site with ease.